The 2018 edition, held on May 18th , aims to raise awareness among health, care and patient referrals on this issue, which affects more than 650 million people worldwide. What is obesity? What are the current challenges, in France and in the world? My Liver Exam gives you some tools to understand this phenomenon. 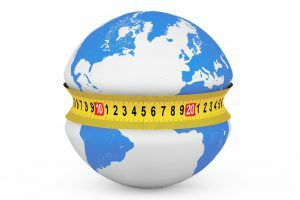 The World Health Observatory has compiled data on obesity based on 2014 data. Although overweight and obesity factors are complex and often specific to individuals, several causes can lead to an increase in body mass. Behavioral aspects can affect the overall health of the individual. Excessive consumption of fatty foods, sugars, alcoholic beverages and starchy foods leads to overweight or obesity. It is also possible that other aspects reinforce this pathology as episodes of psychological distress (depression, stress, trauma …). And we must mention, among the possible causes, inactivity. To know how to resume an activity, do not hesitate to consult our article about “why is inactivity bad for your liver?”. Some people may also experience a genetic predisposition, a hormonal disorder that facilitates weight gain. Eating well by consuming more fruits and vegetables, coupled with regular physical activity is the first step to weight loss. If you think you are facing weight problems, talk to your general practitioner!